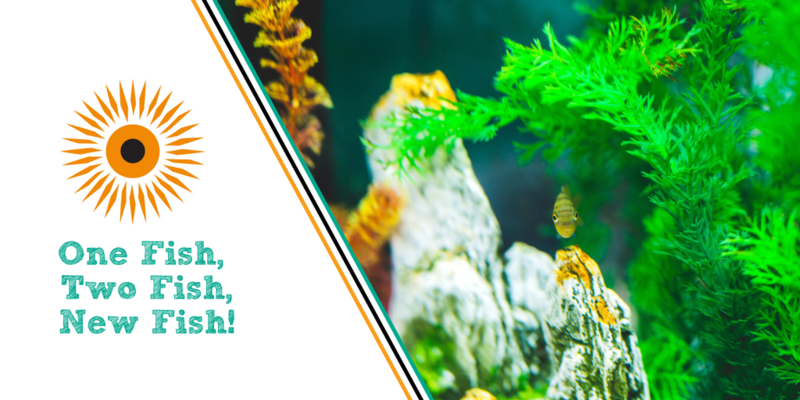 One Fish, Two Fish, New Fish! One fish, two fish, Fox Hill has some new fish! Earlier this semester, one of our amazing tutors, Celeste, realized that the aquarium in the library at Fox Hill Elementary School, where tutoring occurs, looked quite abandoned. Celeste decided that the library might be just a little bit more exciting with some new fish friends inhabiting the then-empty tank. With the go ahead of the librarian that the school would maintain upkeep, and a thumbs-up from her fellow tutors, Celeste reached out to The Reef. And what a re(ef)lief, they were all in and wanted to help! 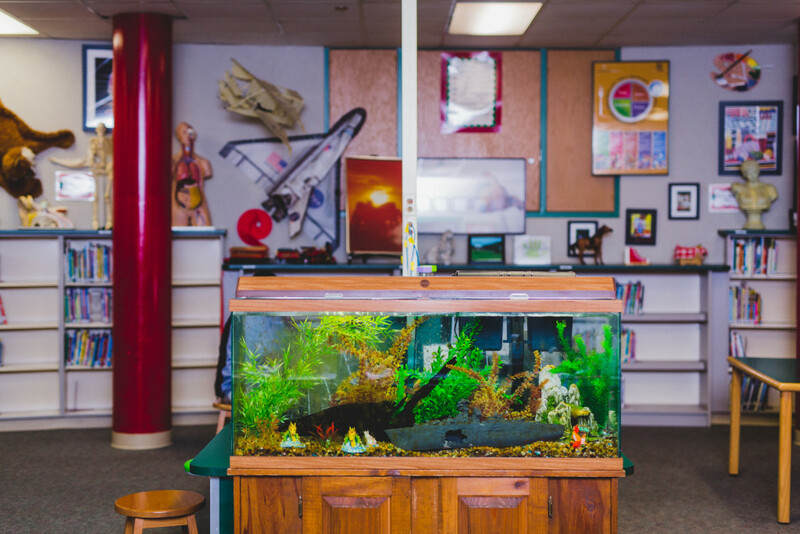 Our friend Kevin from The Reef came to the school, took a look at the aquarium, and decided that The Reef would clean it up, re-plant the aquatic environment, AND fix the pump – all for free so that the kids could enjoy learning about fish. How cool is that?! We love it when members of the community see the value in hands on and observational education, and we couldn’t be more grateful for The Reef for helping us do just that. Now, Fox Hill students (and tutors!) 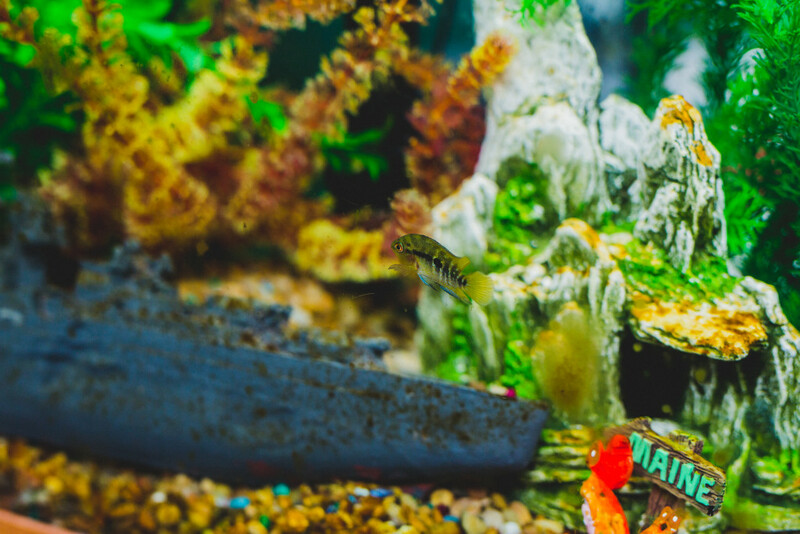 get to enjoy watching our new fish friends in their newly renovated fixer upper. Thank you Celeste, Fox Hill tutors, Fox Hill Elementary School, and The Reef for making our kiddos smile, and for making our day with this adorable act of kindness!